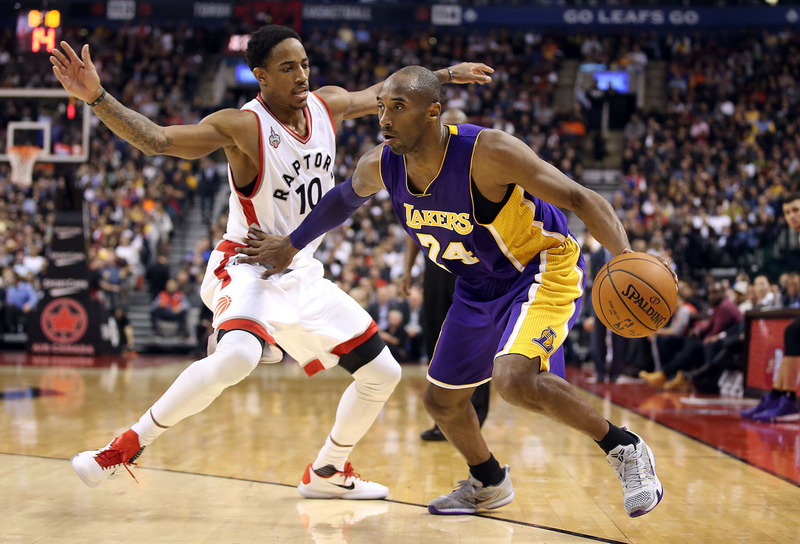 Though Kobe Bryant has "requested" that teams no longer hold ceremonies or gift presentations celebrating his retirement, the Toronto Raptors didn't let him leave Air Canada Centre emptyhanded tonight. Following the Lakers' 102-93 loss to the Raps in Kobe's last regular season game in Canada, fan and friend DeMar DeRozan presented the 20-year vet with a special pair of custom sneakers. The "Liquid Gold" Nike Kobe 10 EXT Mids bear Kobe-inspired graphics on the right shoe, Toronto details on the left and come complete with a matching hat. 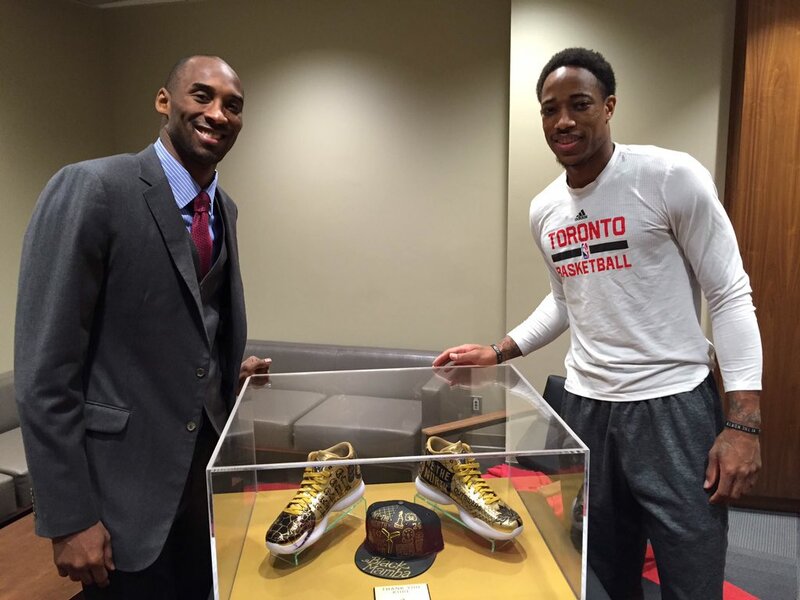 On Twitter, DeRozan captioned the photo, "We couldn't let @kobebryant leave without a token of our appreciation. A @Raptors gift for one of the GOATs." The Raptors were on the other side of Kobe's historic 81-point performance at Staples Center nearly 10 years ago. It's likely that we'll see Kobe play one final game in Toronto — February's All-Star Game.